Epic games today tweeted about the downtime, "Downtime for the v6.30 update has started, Dive into the patch Notes to dig into all the deliciousness that's on the way!" 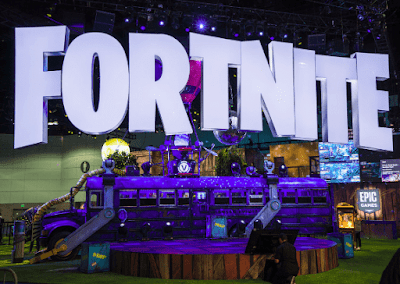 Fortnite went down for maintanance, as Epic is trying to make an update on PS4, XBOX ONE, Nintendo Switch, Android, iOS, and on Android. "Prepare for a Fortnite face-off as the v6.30 update arrives!, Downtime begins Wednesday, November 14 at 5 AM ET(1000 UTC)." It is expected that the Fortnite servers will be down for 2 hours from the time they specified in the tweet, as it usually happens for Fortnite Updates. Also it can be expected that the servers will be back online at the Midday today, We can only make assumptions as they have not specified the official end time. Meanwhile when the servers are down the Players can download the latest Battle Royal update. And also as per the patch notes, version 6.30 is likely to introduce the mounted turret gun. I am sure Fortnite Fans will be excited for this as i for sure am!. Also it should be noted that the Epic games have specified that the turret can be placed anywhere the player pleases. Epic games tweeted "Place the Mounted turret and hop in to apply some suppressive fire! Careful not to overheat,"
There is another important new feature that has been confirmed for the next update and that is of mouse and keyboatd support for Xbox One. And the developers announced this keyboard and mouse updateforXbox One the recent XO18 event. Microsoft's Larry Hyrb has informed the fans that the above mentioned features will be added later this week. "Fourteen title have announced they plan to have Xbox keyboard-mouse support including @FortniteGame, landing later this week," said Mr Larry. Apart from all this cool stuff Fans can also expect to see fixes for audio and emote issues. And they include a fix for the Downer Pickaxe and characters not emoting in the lobby.